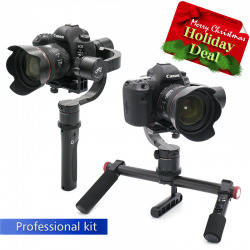 Now the time has come to introduce you the Pilotfly H2 Professional Kit. 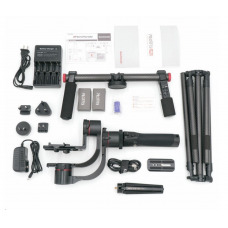 The heart beat starts rising now for every photo/video professional. 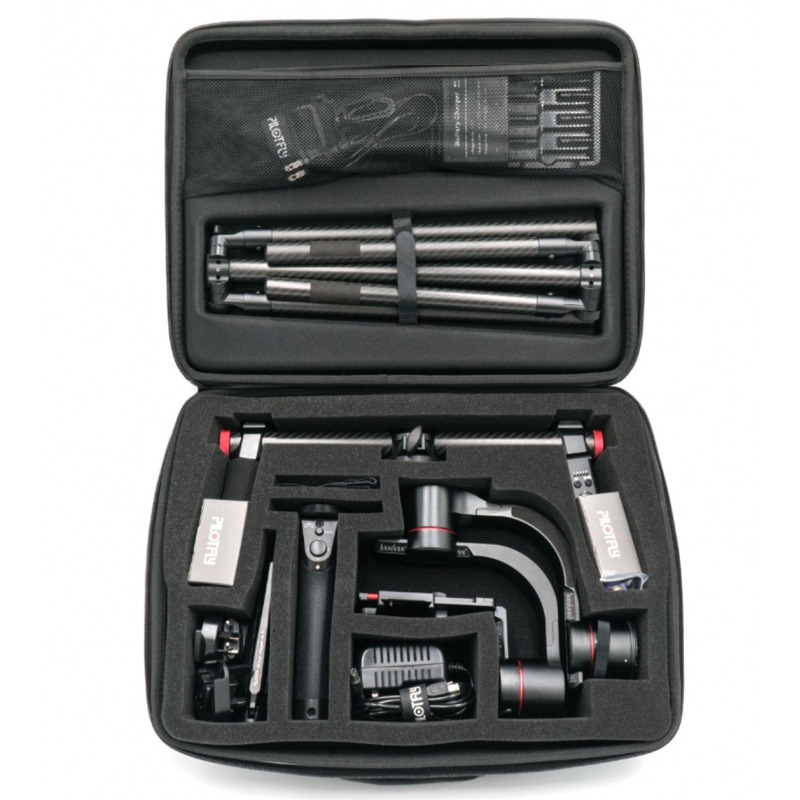 The Professional Kit includes all necessary parts for the Video professional to be ready on set in a very sort time. The Professional Kit includes the Pilotfly H2 with 1-Hand-Handle and 2-Hand-Holder, Mini Tri-Pod, Carbon Tuning Stand, Battery Pack, Charger and AC adapter and everything is well organized in soft shell case. The Pilotfly H2 is the finest one-hand-gimbal for mirrorless and DSLR cameras we‘ve ever designed. 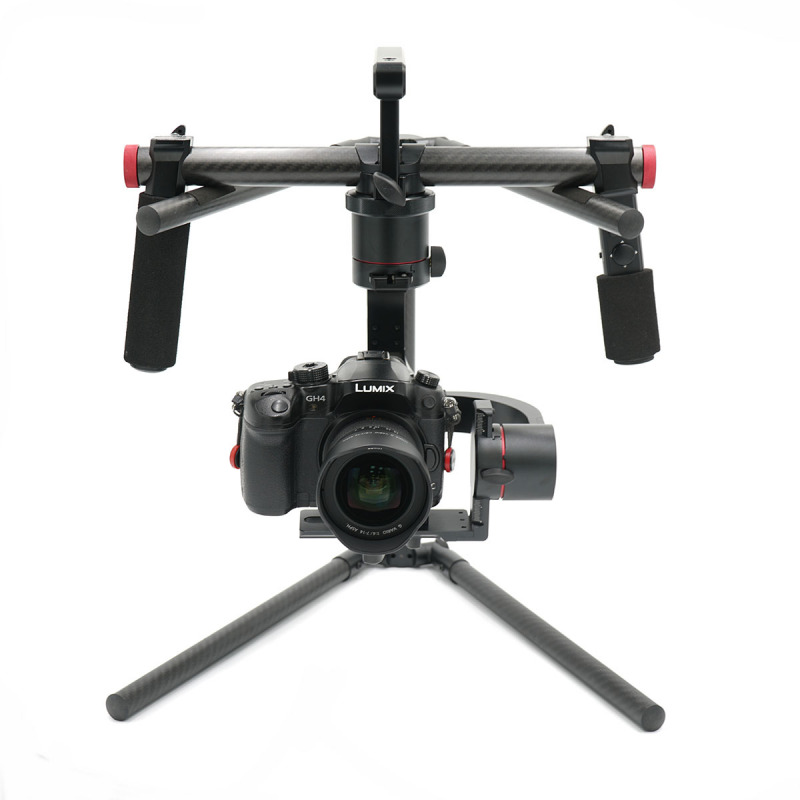 The Pilotfly H2 introduces a whole new way of video shooting with highest versatility, flexibility and power efficiency. The 32bit technology with Triple-MCUs and 2 integrated IMU sensors offers you a more powerful shooting experience than ever before. The ergonomic lightweight handle is equipped with an easy-to-use 4-way joystick, mode button and a power/battery status LED. Now, three integrated ¼(inch) screw holes (one on each side and one at the bottom) give you the utmost flexibility for mounting other devices, like an external display or a microphone. 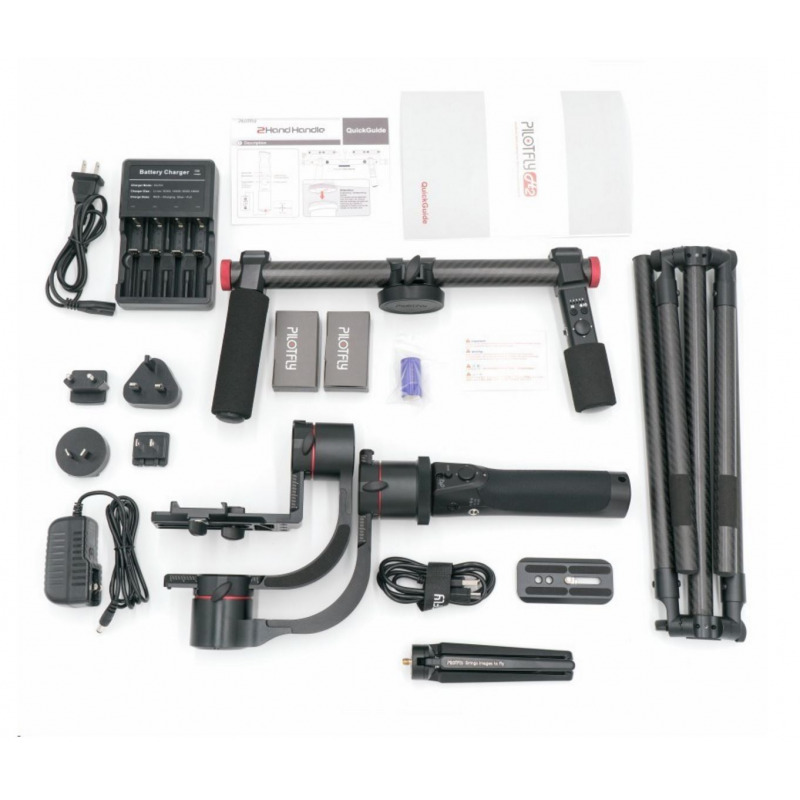 Additionally, you can put it on a tripod, extension pole, slider or on a jib — everything is possible now depending on your shooting requirements. And we even went one step beyond: Now you are able to detach the handle and easily exchange it to extend your operation time. 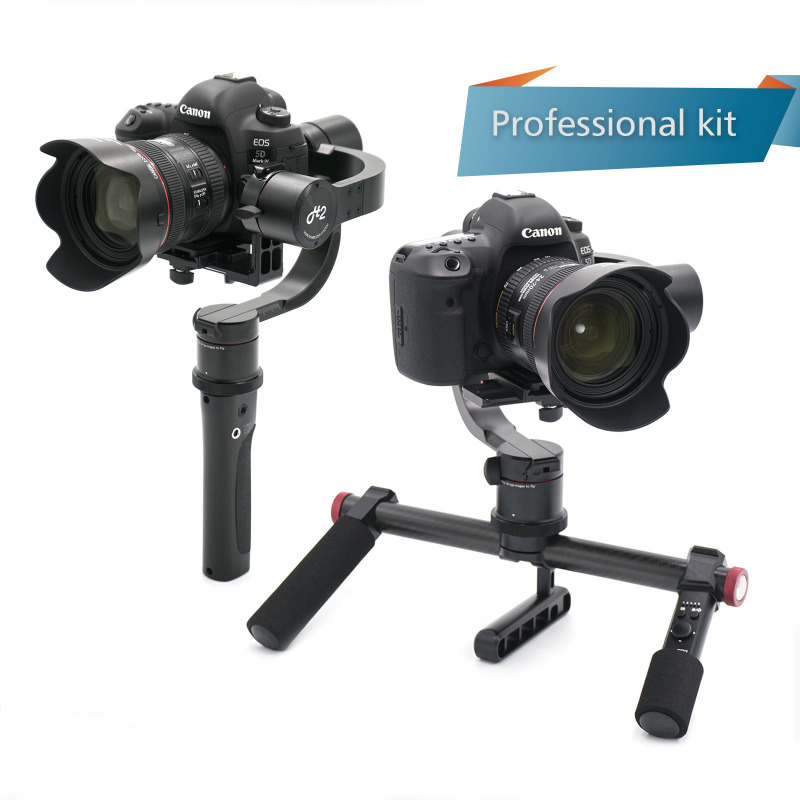 The 3 axes of the gimbal consist of a CNC aluminum alloy construction and is tool-less designed to balance your camera even faster. The new brushless motors were designed with integrated MCUs. 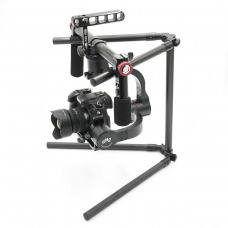 We reduced their size of about 30% compared to standard motors on other gimbals. This makes the Pilotfly H2 the most elegant and ergonomic one-hand-gimbal on the market. And we don't want compromises anymore! Therefore we designed the motor without limitation on YAW and ROLL. Consequently, you can turn it 360° without having to worry about damaging the cables. Full 360° time-lapse is possible as well now! On the basis of newest technology and superior quality we were able to increase the payload of our gimbal to 2.2 kg, and we extended the battery life to 26 hours, what we think is absolutely amazing. The Pilotfly H2 is the next generation of one-hand-gimbals and it is the most advanced gimbal we have ever created.